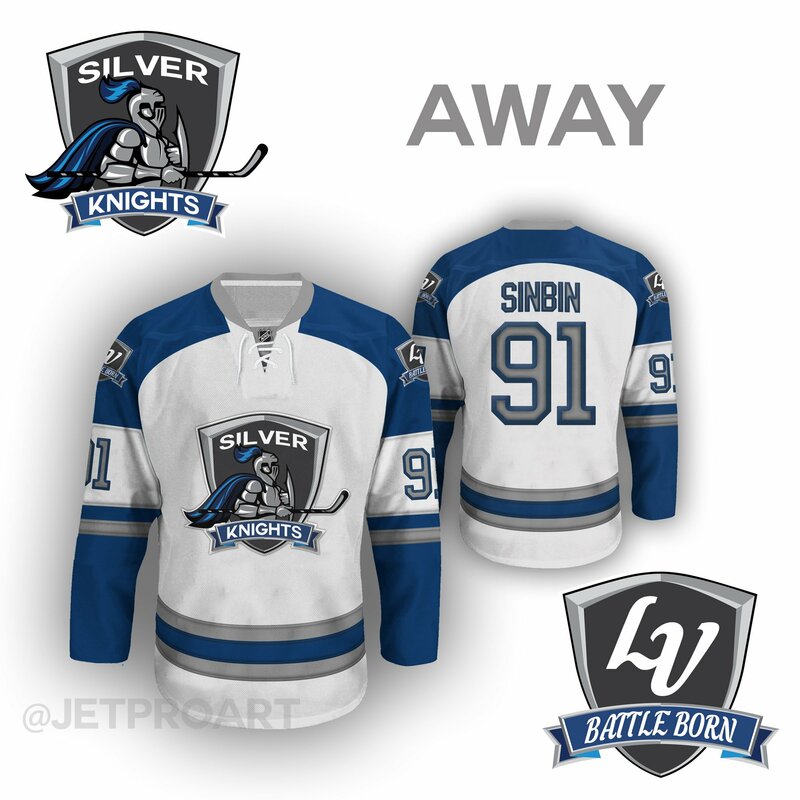 So without further ado, here are there incredible jersey designs made by our boy Isaac Palestine (@JetProArt) for the name Las Vegas Silver Knights. The giant logo on the home and aways are great, and the alternates are absolutely amazing. 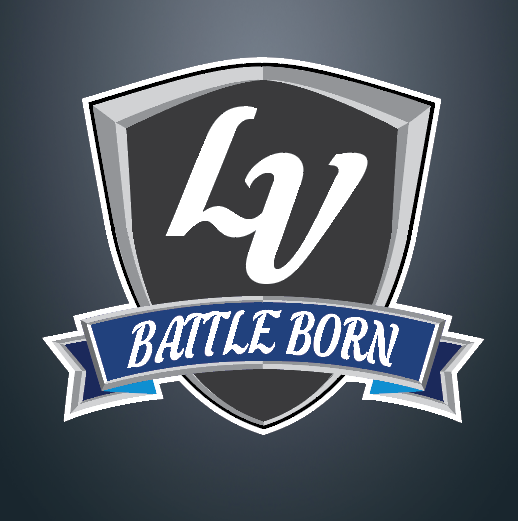 Utilizing the term Battle Born is quite brilliant as well. Excellent work once again by Mr. Palestino. Next up, Las Vegas Rat Pack. Can’t wait to see what he’s got to blow these disasters out of the water. I’m like 99.9% on board. I think the only tweak I might make is to change one shoulder patch to the Nevada state flag (ala Calgary using Alberta’s provincial flag). I know Foley toyed with the idea of using “Nevada” over “Las Vegas” for a while, but public backlash made him change his mind. I think it’d be a nice homage to the north. Love that idea. I still think we all agree that the name should be Vegas not Nevada though. The problem with doing Las Vegas Silver Knights/Black Knights, etc., is that it would make us the only team within the four professional sports (sorry MLS, you’re not quite there yet) with a two word city + two word team name. I understand wanting to be unique, but that feels gimmicky to me. If it’s a single word name, like Aces, then use Las Vegas. If it’s Silver/Black Knights, I’d prefer Nevada. Jersey is the best I’ve seen, Nevada is out of the question. Maybe for little league or a minor league team they would be alright. 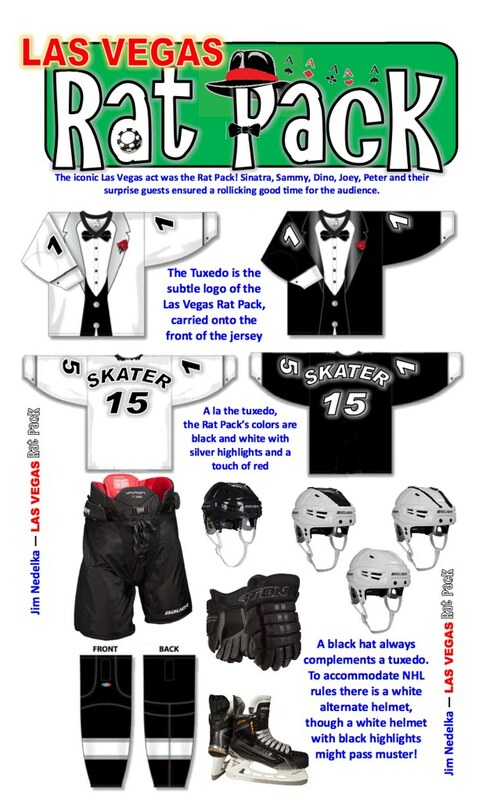 They are just too cartoony or comical looking to be a pro sports jersey in my view. 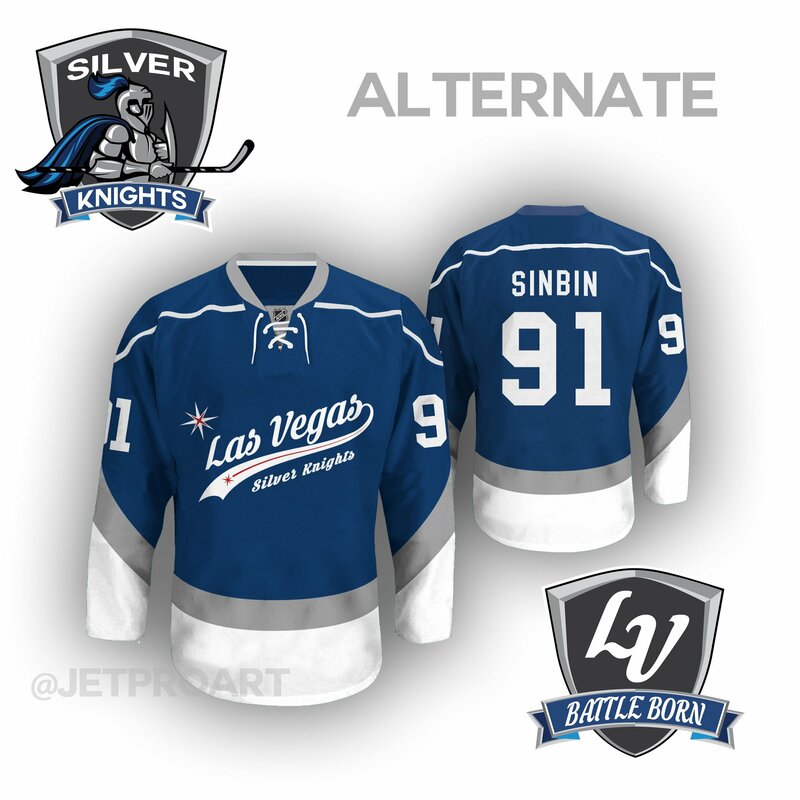 I could see how some might like the Las Vegas designed alternate that don’t have the logo. Some of the other options I like the colors or see a few mods that would be great while not into the logo. These would be real hard to recreate the logo when buying merchandise also. You have to look at all the types of gear that a team will make… Think how the logo will look if it will even be recreated close to accurate especially stitched items. Silver is nice they can replace gold with that to look cooler in other designs for example :). I don’t understand why they try to make all these new uniforms with the ugly lacing though. I personally would never buy a jersey with that, so I can’t grasp the appeal :). 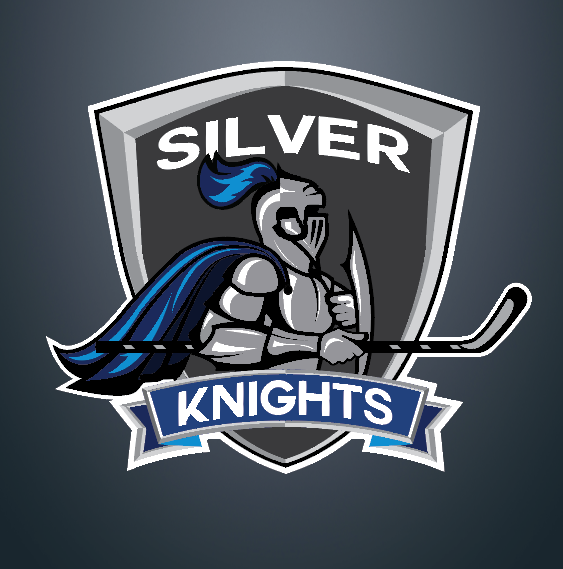 The colors don’t fit the name Silver Knights if its barely any silver in the uniforms. Blue seems to be the main coloration on them overall so why call them Silver Knights? The head of the Knight within the logo would be real hard to get reproduced well on merchandise too. Are you born in the 60’s? What marketing plan does this serve? What merchandise options beyond those of Junior or college hockey fodder? Get a grip and listen to those who fed you the 500 million Mr. Foley. Aces is no less valid than Kings and the marketing opps are endless. You need to push back. Well sadly I agree the alternate jersey is really High Schoolish looking sorry to say. I’ve also seen so many logos that look like that I hate to just give bad critiques but there really isn’t any thing I like about these. 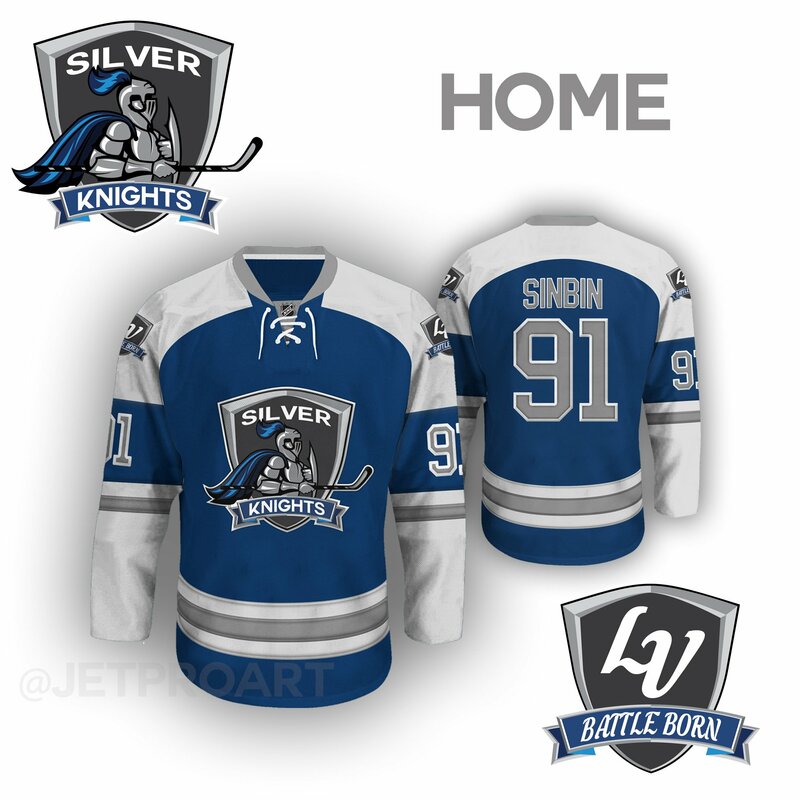 The blue is a non starter with name the Silver Knights, the logo is flat and non dynamic and its just a bit bland and boring to me. As far as the City and State name debate do your self a favor toss an American flag on one shoulder and take a pole to who wants what on the other because when it comes to Vagas, Las Vagas, Navada etc etc your never going to be able to make them all happy sadly its the human condition.